Quality is never an accident; it is the by-product of determination, hard work and a passion to satisfy customers. Real estate is an extremely competitive industry and maintaining a reputation, bettering it and etching a brand name in the heart of customers isn’t an easy task by any standards! 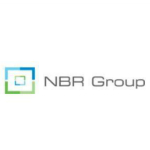 NBR Developers has managed to do so since inception and has been a trend setter as regards quality, affordable housing and innovative ideas in construction. Founded in 1998, NBR Developers led by Managing Director Mr. Nagabhushan Reddy has carved a niche for itself in the real estate industry with its unique projects that have attracted buyers from all walks of life. Within a mere 17 years presence in the field, the company has brought in revolutionary thinking in terms of providing a gated community styled living at the most affordable pricing so that owning a dream home is no longer a distant dream for a middle income buyer. Boasting of a diverse portfolio, NBR Developers has projects of gargantuan sizes across the most happening places in Bangalore. The NBR Green Valley project was the first of its kind in the Bagalur – Hoskote stretch and won the coveted Bangalore Real Estate Award for ‘Residential Plot Development of the Year’ in 2012. The project has been an extraordinary success and its success story has attracted much attention from many other developers and has thus improved the land value and developmental prospects of the region by manifold. Similarly, NBR Developers’’ projects in other areas of Bangalore have been well received by customers who place their faith in the company time and again to enjoy great returns. With a vision to provide affordable housing to everyone and provide gated community like amenities even in smaller projects, the company aims to foray into other cities for expanding its real estate activities and will continue to strive to provide the best value for money for its customers.